There’s something about a good survivalist story that really gets to me. I love it when characters have to go foraging for food or have to ration out supplies–and I also like seeing how the aftermath of a major disaster can bring out the best and the worst in people. When I first read The Compound by S.A. Bodeen, my favorite parts of the book were most definitely how the author thought out how Eli’s family dealt with dwindling supplies, and how paranoia and helplessness make them consider unthinkable solutions. 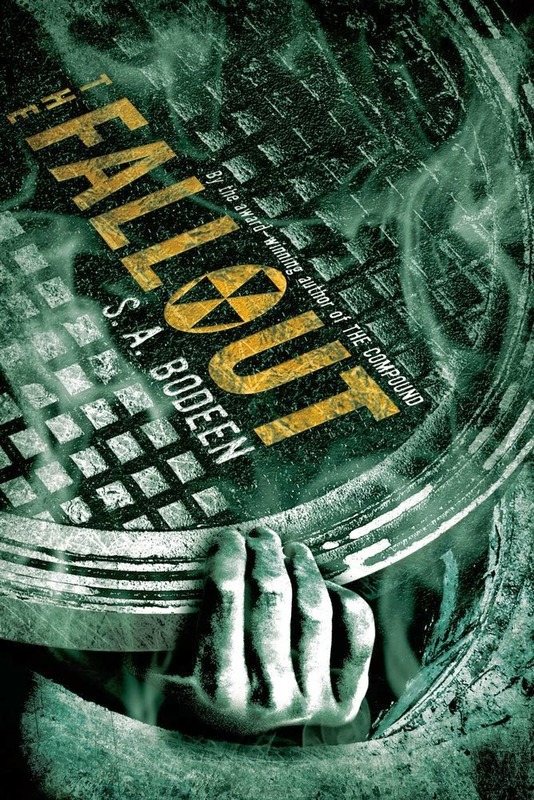 With the sequel releasing tomorrow, we invited the author to join us as part of The Fallout’s official blog tour to tell us what she couldn’t live without when the apocalypse comes. I’m pleased as punch that she mentions one of my favorite series in this post, too! People always want to know where I got the inspiration for The Compound, a tale of a family living in an underground compound after a nuclear attack. Usually I attribute it to my junior high and school years, when nuclear proliferation was nearing its peak and my school actually made us do drills for a nuclear attack. But recently I realized that my interest in survival was stirred much earlier than that. One of my favorite series as a child was the Little House books by Laura Ingalls Wilder. And seriously, what were those about if not survival? The hungry Ingalls family is in a sod house in the middle of the prairie and a raging blizzard, down to their last sack of flour: survival. Laura goes to play in the babbling brook which has become a raging torrent of water and she gets sucked under the footbridge and clings for her life, no one to hear her screams: survival. Pa is caught on the prairie in the middle of the night, surrounded by wolves: do I have to say it? Survival. My love of the breathless will they make it out alive was instilled by Laura Ingalls. I was totally mapped by her heinous years of survival. So when I wrote The Compound, I thought about what I would need to survive. And by survive I mean a form of high-maintenance survival. You know, not just stuck in a Conex box buried under the ground like in the movie Take Shelter (brilliant movie by the way, Michael Shannon deserved an Oscar) but somewhere kinda cushy. Which is why I gave the Yanakakis family such a cool place. They had nice rooms and movies and books and music and plenty of food. (Okay, maybe that part didn’t turn out so well.) I basically gave them a nice shelter over their heads until it all began to fall apart, because in my thinking, survival should involve actual living, not scrambling about in the forest looking for some disgusting bugs to eat. But to me, the world of The Compound seemed fictional, because no one really takes survival that seriously, right? Well then my research for The Fallout led me to some very interesting survival condos built inside old nuclear missile silos. And seriously, the builders gave some serious thought to survival. We’re talking my kind of high-maintenance survival. Those places are luxurious, way better than the Yanakakis family’s compound. And now, after writing those two novels, I think I get the reasoning behind the survival condos. If you’re going to survive, things should be at least as good as they were on the topside, right? I mean, there better at least be some chocolate. Win The Compound & The Fallout! Thanks to our friends at Macmillan Teen, we have a copy of both books in The Compound series to give away to our readers. All you have to do is leave a comment below telling us what you couldn’t live without when the apocalypse comes, and fill out the Rafflecopter form! Open to U.S. and Canadian residents 18 and older, or 13 and older with parental permission. Please see entry form for complete details. S.A. Bodeen is the award-winning author of the Elizabeti’s Doll series of picture books, as well as several others. 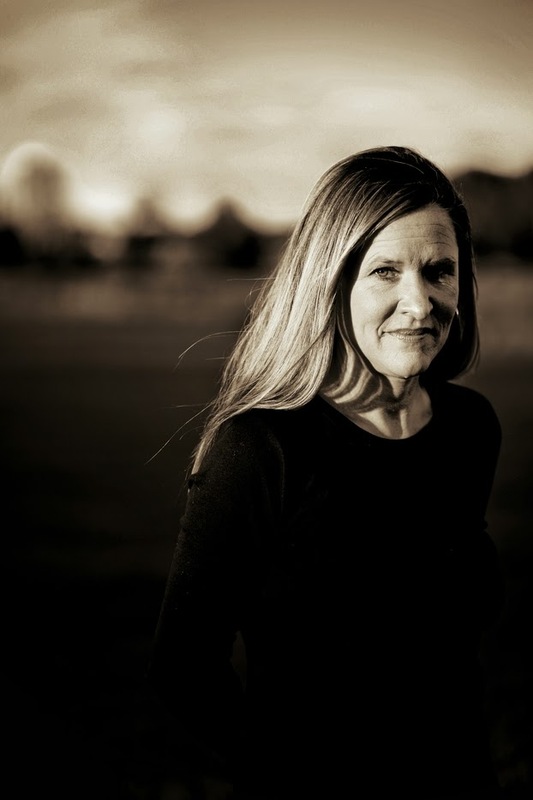 Her first young adult novel The Compound was released in 2008 and recently won the Maryland BlackEyedSusan Award, Nebraska Golden Sower Award, and the Indiana Young Hoosier Award. Her second YA The Gardener was featured on Good Morning America as a Best Summer Teen Read. 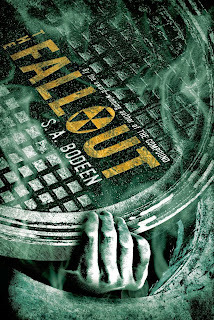 The Fallout will be released September 2013 from Feiwel and Friends/MacMillan. Check out the rest of The Fallout Tour! Our thanks to the author for her guest post, as well as to Macmillan Teen for providing the books for this giveaway. I would have to have a battery-operated white noise machine. I cannot sleep without one (it comes with me when I travel). If every day is going to be a struggle for survival, I’m going to need a good night’s sleep! I loved Little House on the Prairie, actually still do, always watch the reruns. I think the one thing I could not live without would be gummy bears! I am super-interested in this luxury condo compound now! I’m picturing plush carpets and foosball tables. I read The Compound and liked it, but had no idea that another book was coming! I have to check this one out. III know, I was surprised and pleased to find there was a sequel, too! Good news for us. Male POVs are always a welcome change for me, I hope you like this one too, Carina! Oh, I’m curious what you’ll think of NOT A DROP TO DRINK, Kim. I really liked parts of it, although I was surprised to find I wasn’t a fan of others. I gave it to someone else to review for us, though, because I wasn’t sure if I was just cranky when I read it, hah. My initial thought was that I couldn’t survive without Diet Coke…but really, I would need books!! Reading something to escape, to forget about the apocalypse for a while…I would need that. My first thought was that I couldn’t survive an apocalypse with Diet Coke…eek. But I think I really really wouldn’t survive without books! Something to read, to escape from the apocalypse for a while…I would definitely need that. Hah hah, Diet Coke?! That is quite the love for soda. I couldn’t live without books either, though. I might blow up the shelter if there was nothing to read. Honestly I think I’ll miss the internet most. I do almost all my movie watching online these days not to mention downloading new books to read or getting those store on my kindle from the cloud. I hate to say this, but I would probably go crazy without the internet. :| I’m so plugged in that it’s ridiculous. and one of these days it might come back to haunt me. Yup, she mention Laura Ingalls Wilder, so I’m sold! ;) I haven’t heard of this one before, but I really love the post and with your approval too, Wendy, I can’t miss out on this. Thanks for sharing, ladies! I’m actually surprised to hear that was an inspiration for her, but it makes sense! I hope you like the books when you get to the, Keertana. There definitely needs to be some chocolate for survival. I have been seeing the covers for these ones around but I hadn’t looked too much into them until this post, I think I could really like these! As far as those posts she came across I have to mention this show that I love: Doomsday Preppers, these people have the most insane bomb shelter thingies in the world! I think you’d enjoy them too, Jenni. And WHAT IS THIS SHOW, I have never heard about it! Hmm. Must google. I want a bomb shelter…just in case. You’re right, chocolate would be a great thing to have after it all comes down. I hope we do. I’d also really like to have my dog with me if possible. We make a pretty good team now so I bet we’d adapt to the post-apocalypse pretty well too. Thanks. Aw, your dog! I hope you get to keep your dog and a good supply of chocolate when the end of the world comes, Carl. It’d definitely be a necessity. I actually love water as well. Although I don’t drink as much of it as I should. Great review! This sounds like a great series! I will have to check it out! Thanks for sharing. I recently read these two books over the weekend and really loved the stories. Can’t wait to see what happens next. I can’t wait to read the sequel. But wait, is there going to be a third book now?! I had no idea. I wouldn’t be able to live without my kindle since I’d be so bored not reading. Really looking forward to the sequel to The Compound! I definitely think I’d do much better surviving an apocalypse with a handy-dandy stockpile of chocolate nearby and a fallout shelter to hunker down in. And I loved the Laura Ingalls Wilder series for the same reason as you — those people did what they needed to to survive.